I personally think this is the time of year we should be striving to get in the freshest produce that we possibly can, to make up for the inevitable splurge of holiday treats. 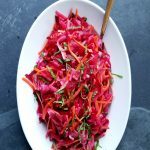 With seasonal produce like beets, fennel, apples, and citrus, this winter slaw is a wonderful addition to anyone’s daily routine. 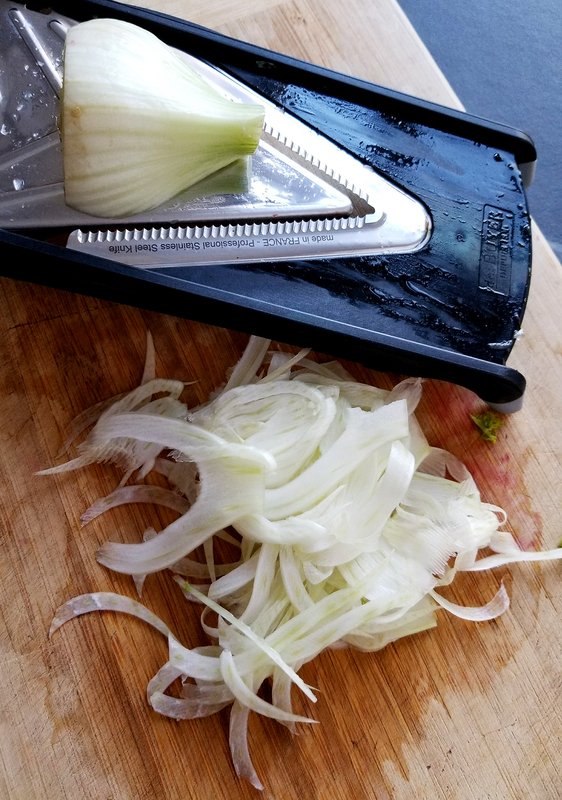 This slaw is simple, all you need is a mandolin, food processor, or ninja knife skills (a classic cheese grater will also work.) When you have your fresh produce cut into matchsticks (or grated) just mix together with the dressing and let marinate for a few hours. The dressing is simple, your favorite citrus ( I LOVE tangerines) with a splash of apple cider vinegar, and a touch of maple syrup makes for a bright and tangy salad. It’s beautiful, packed with fiber, delicious and refreshing! With earthy beets, crunchy fennel, sweet apples, bright citrus, and cooling mint you have a wonderful bounty of nutrition that you won’t feel guilty about over stuffing yourself with. 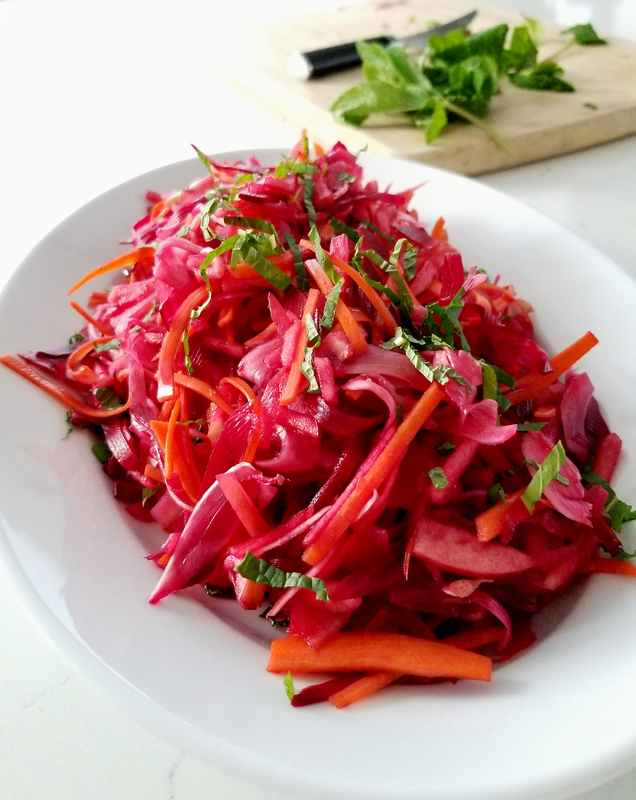 Make a large batch and enjoy it over a few days, it makes a great side, and a beautiful addition to salads. 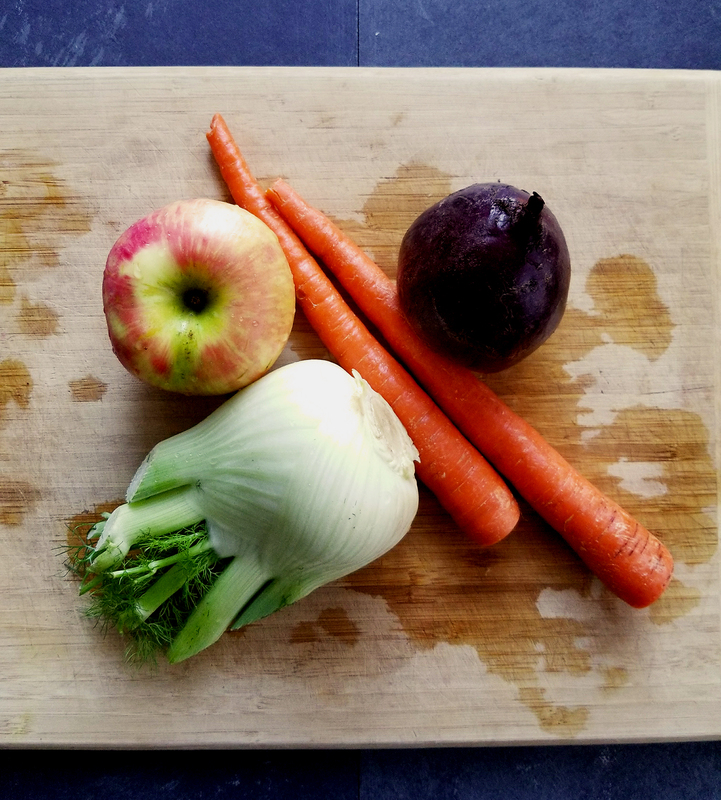 Start packing in that gorgeous winter produce! 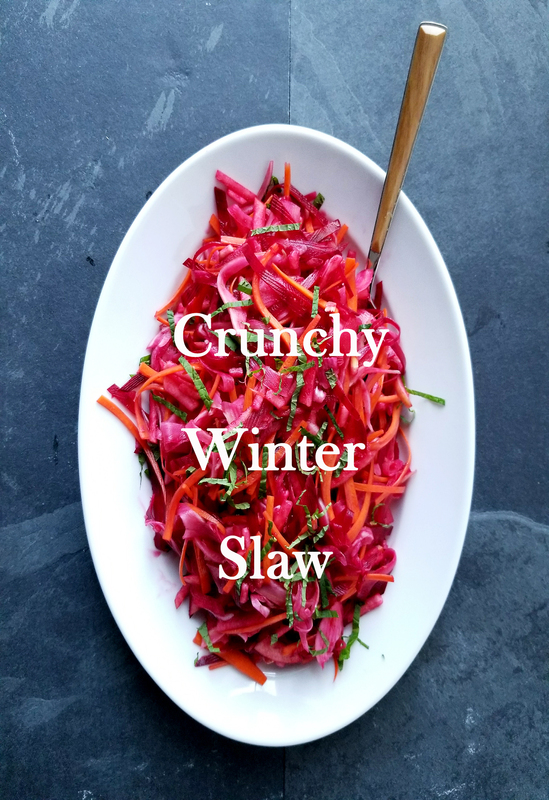 Light, bright, and refreshing, this citrus dressed slaw will be sure to lighten all of those heavy winter meals. 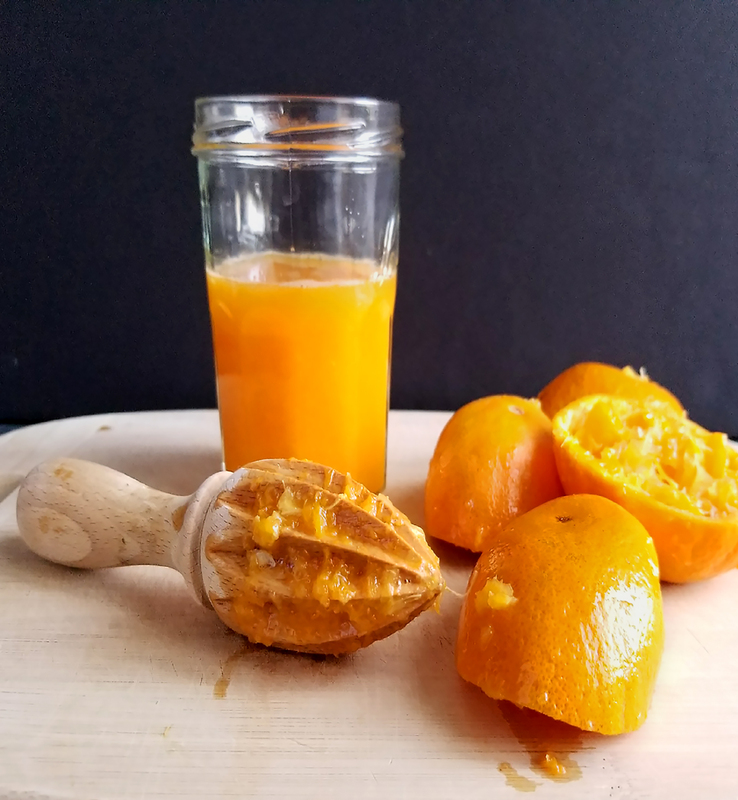 In a small bowl, mix the tangerine juice, maple syrup, and apple cider vinegar. Season to taste with salt and pepper (optional), set aside. Prepare all of the vegetables and fruit and place in a bowl. You can use a slicing mandolin like this. 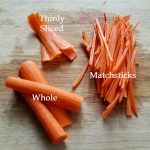 Or, with a sharp knife thinly slice the vegetables, then layer the slices on top of each other and cut thin matchsticks. If either of these options does not work for you, you can always use the large grater blade in your food processor. Toss in the dressing and mix together. Chill in the fridge for at least an hour. When ready to serve garnish with freshly chopped mint and enjoy! 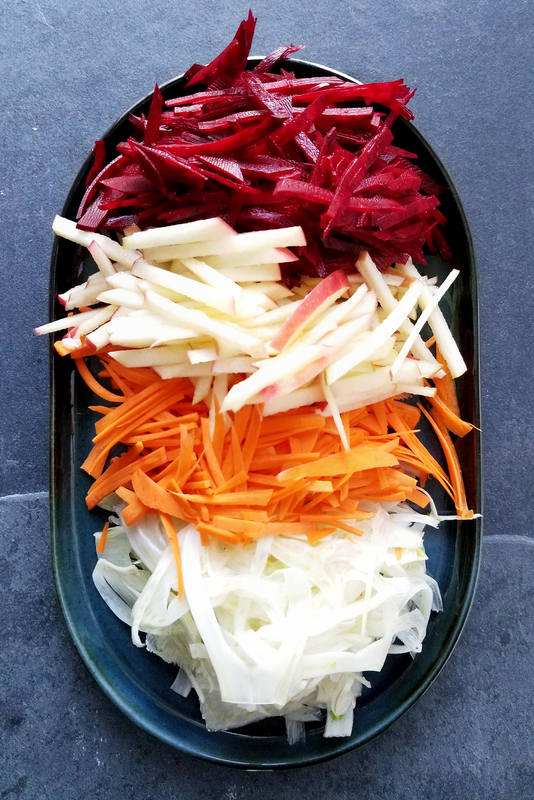 * Asian Pear would be a great addition to this slaw if you have access to them.